As winter weather approaches, guests of our Western Massachusetts lodging cast about for interesting ways to pass the time inside. Well, there is always something interesting happening at MASS MoCA, or the Massachusetts Museum of Contemporary Art. The rotating exhibits are fascinating and often cutting edge. In addition, MoCa offers a wide array of live music, theater, and dance performances. There are many interesting exhibits at MoCA; two of the current exhibits feature Guy Ben-Ner, who delves into fatherhood and family life in his work, and German artist Anselm Kiefer, who “conjoins matter, history and time in a moving installation of paintings and monumental sculpture” (MoCa website). 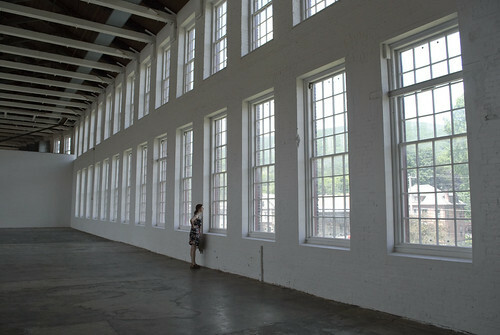 MASS MoCA is in North Adams, just under an hour north of our lodging in Lee MA. A trip up to the museum makes for a pleasant outing, and is a great way to see a slice of the Berkshires and Western Massachusetts. While at the museum, be sure to check out the gift shop, where you will undoubtedly find unique gifts for your friends and family this holiday season.